Summer is all about picnics, patios and pool parties, but when fall rolls around you may find yourself dreaming of full-time membership at the stay-at-home club. And with our tips for making your bedroom look, sound and smell like an inviting den, what could be better than curling up and staying in? The short answer: Nothing. See ya next spring. Painted, mirrored and metal furniture all has its place, but few materials create the warmth of wooden elements like wide floorboards, ceiling beams, bed frames and side tables. Golden and reddish woods or stains in particular radiate back-wood lodge feels—think a crackling fire, cabin socks and steaming hot cocoa. Is there a certain smell that gives you warm fuzzies? Maybe it’s the spicy scent of Grandma’s ginger snap cookies, the crisp aroma of ripe apples or an intoxicating whiff of pine trees. Whatever the smell that makes you feel at home, find its essential oil match and diffuse the heck out of it. Saje’s diffusers are streamlined and discreet and their House Warming Comforting Diffuser Blend, a mix of citrus, spice and vanilla, seems good enough to eat. Saje Wellness Aromageni Deluxe Ultrasonic Diffuser, $130, and House Warming Comforting Diffuser Blend, $17, saje.com. You can make your bedroom look as cushy as you want, but if your bed’s not actually comfortable, you won’t want to spend time curled up reading, sleeping or doing anything else. Endy’s 100% Canadian designed and manufactured mattress is ultra-supportive for a pain-free sleep and comes with a hypoallergenic, micro-quilted cover that’s extra cozy. Plus, it’s available for online order to be shipped quickly to your door. 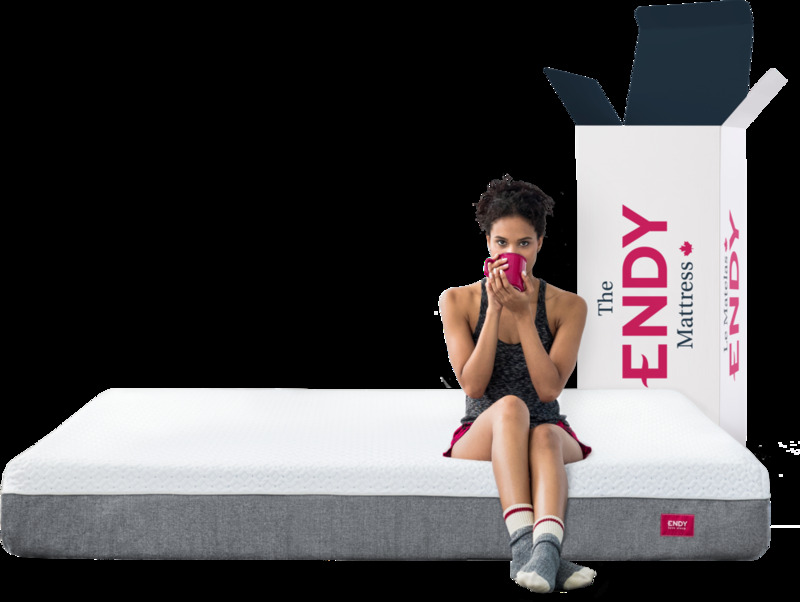 The Endy Mattress, from $675, endy.com. 4. Choose a dark paint hue. Clean white walls are timeless, airy and bright. But if you’re looking to create an escape from the chill that’s started to creep into the air, dark and dramatic paint colours such as deep grey, navy, chocolate or forest green can create the illusion of a soothing cocoon—especially when applied to all four walls. Like the paint shade pictured? It’s Little Greene’s Scree (227). 5. Create a reading nook. Nothing says “get cozy” like soft fabric and tufted or padded furniture (think headboards, benches, poufs and chairs), so make everything that touches your skin super plush. A deep velvet armchair is just one example and is the perfect addition to a bedroom book nook. It’s a big luxury if you have a little extra space. 6. Stock up on great books. Since light from electronics like your smart phone, TV or computer can promote wakefulness and make it harder to get a good night’s rest, leave them out of the bedroom. Instead, keep a stack of must-read books on your bedside table, like Canadian poet Rupi Kaur’s second book of poetry, The Sun and Her Flowers. Similar to her first collection, it features simple line drawings and poignant short pieces primarily about love and relationships. The Sun and Her Flowers by Rupi Kaur, $20, indigo.ca. If you can afford nothing else, buy a few candles and turn out the lights. The original soft-focus filter, flickering candles will make everything—including your visage—look soft and fresh… even if your duvet’s a little threadbare or your carpet has a stain. Choose an inviting scent like Woodlot’s Wildwoods, an essential oil blend of balsam, fir and clove, for extra cozy-home bonus points. Candle in Wildwoods, 13.5oz, $39, woodlot.com. Wool is one of the warmest fabrics around, so pile your bed high with woolen throws. Whether you choose a blanket from your local craft fair or order one online from the comfort of home (likely from a beneath a pile of more blankies and pillows), make sure it has stripes for a rustic cabin vibe. Coyuchi striped wool throw blanket, $191, wayfair.ca. 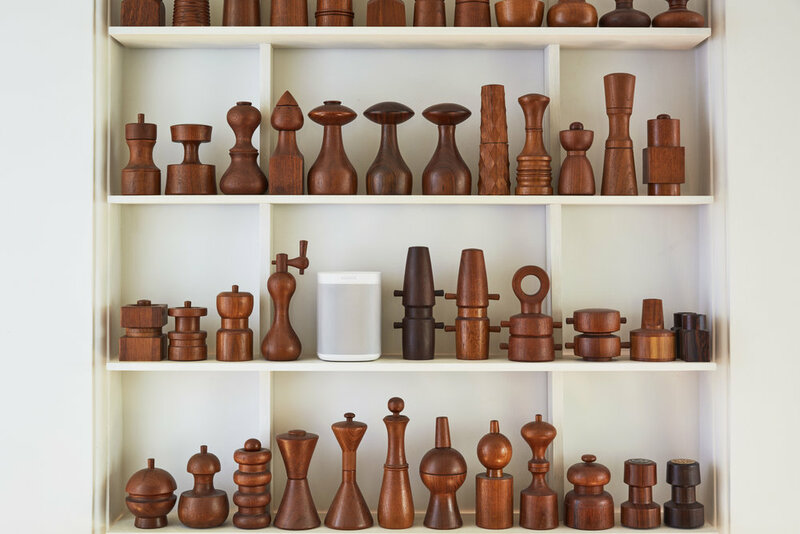 Sonos One Speaker, $249, sonos.com. Each fall, DavidsTea creates a compilation of teas with autumnal flavours, like this year’s The Harvest Collection with packets of Pear Blossom, Just Beet It, Orange Glow, Wild Strawberry and Honeycrisp Apple. Drink your favourite blend in bed with a tea press travel mug that will allow you to steep your loose tea without an infuser or tea bag and then stop the infusion by sliding the press into the mug. Bonus: it will keep your drink hot or cold for hours. 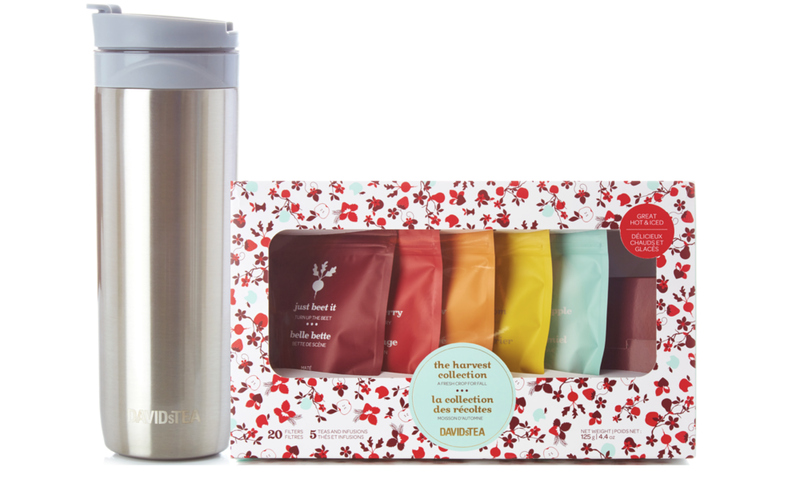 Silver Tea Press, $35, and The Harvest Collection, $25, davidstea.com.